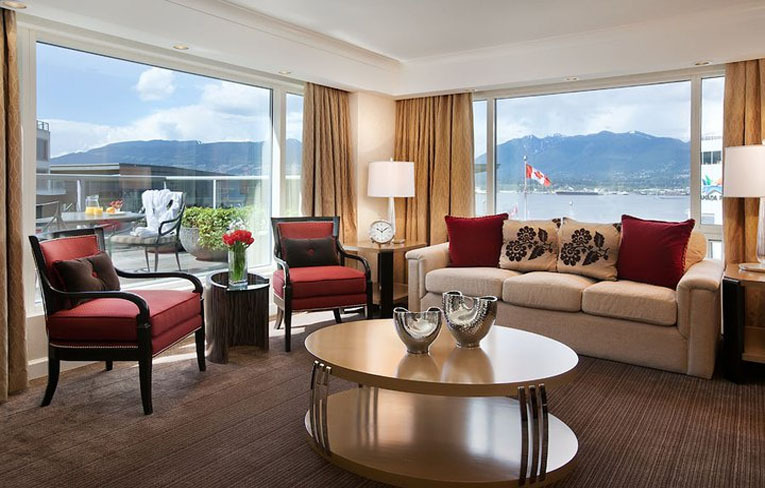 North America more in "Vancouver"
world-famous views, fabulous service, delightful accommodations, and prime downtown business and leisure location make the perfect combination for an unbeatable experience in Vancouver, Canada. The culinary team at Herons West Coast Kitchen + Bar embrace fresh, local ingredients complemented by hotel-grown herbs from our 2,100 square foot rooftop garden and honey bee colony. Set out on foot to discover trendy eateries in historic Gastown, Robson Street shops, stroll the Seawall and Stanley Park, or experience a bird's eye view of this spectacular city by helicopter or floatplane. 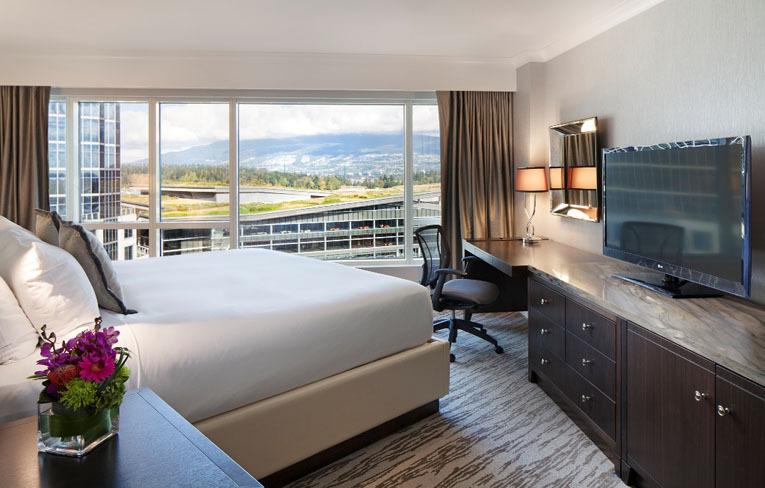 Unwind after a long day or energize yourself for a new one at our Health Club, located on the third floor overlooking Stanley Park and the North Shore Mountains of Vancouver, BC. 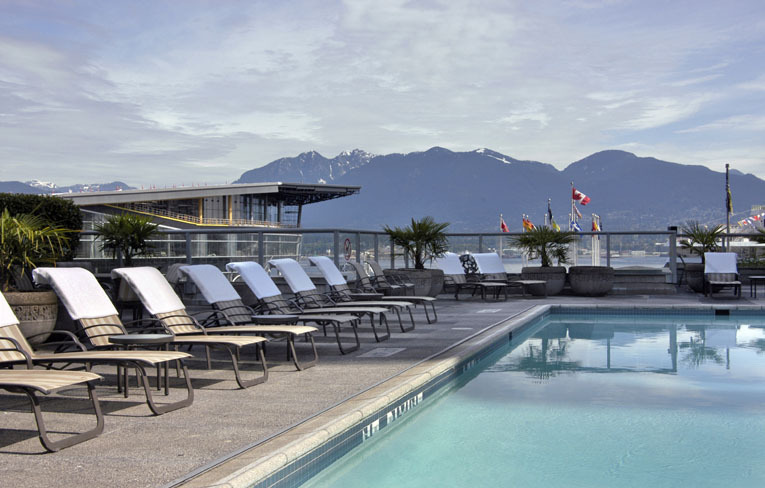 The Fairmont Waterfront provides access to a 50-foot heated, pool that is open year-round, as well as an indoor whirlpool. 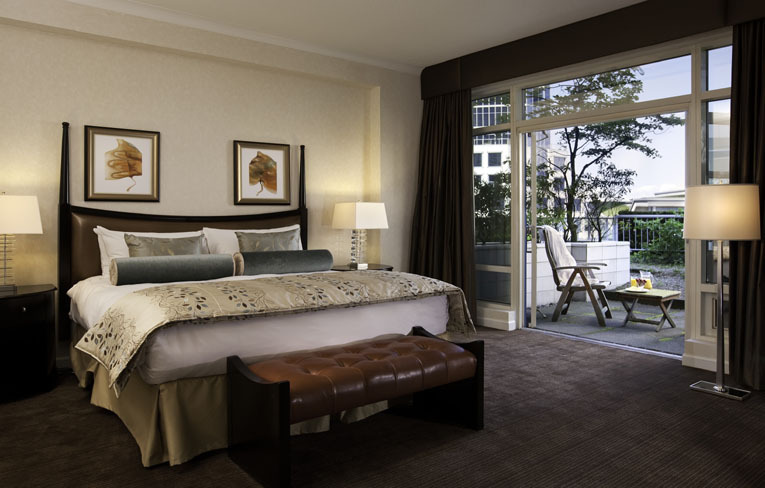 At The Fairmont Waterfront, our spacious, elegant and contemporary hotel accommodations in Vancouver will satisfy the most discriminating guest. Over 300 of our 489 guest rooms overlook the harbor, offering spectacular views of the majestic mountain peaks. 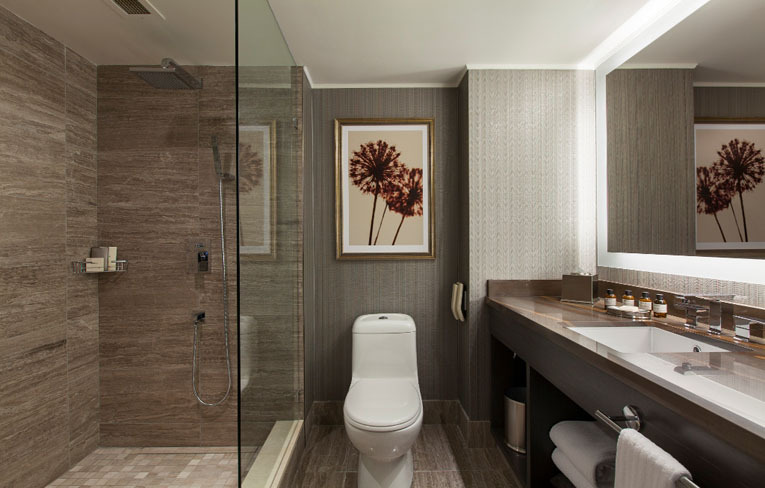 The other accommodations have splendid city skyline views of Vancouver, and overlook the hotels third-floor herb garden. 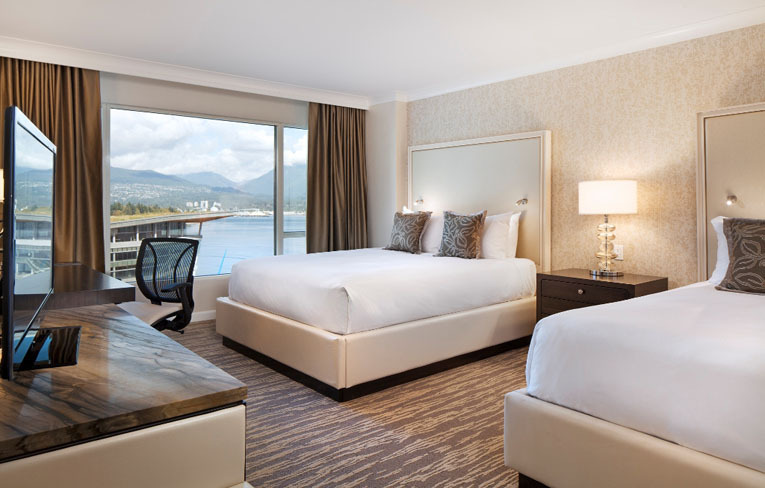 With thoughtful refinements uniquely suited to your personal and business needs, and warm welcoming service, The Fairmont Waterfront's accommodations in Vancouver exceed all expectations. 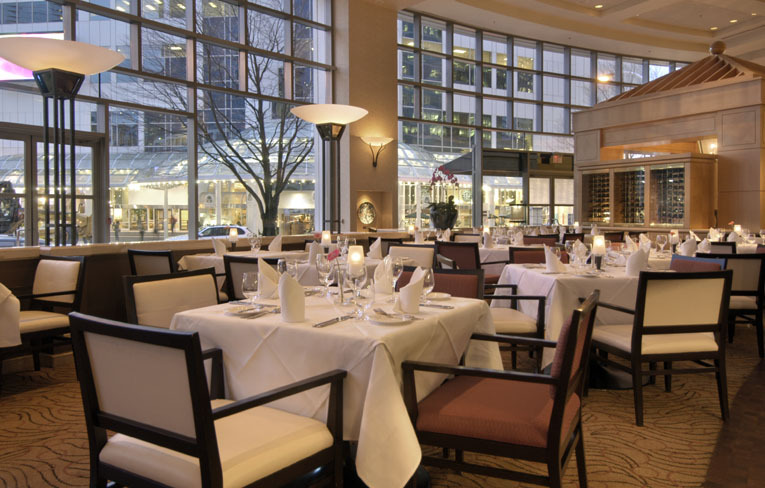 The Fairmont Waterfront hotel showcases the best of Vancouver. 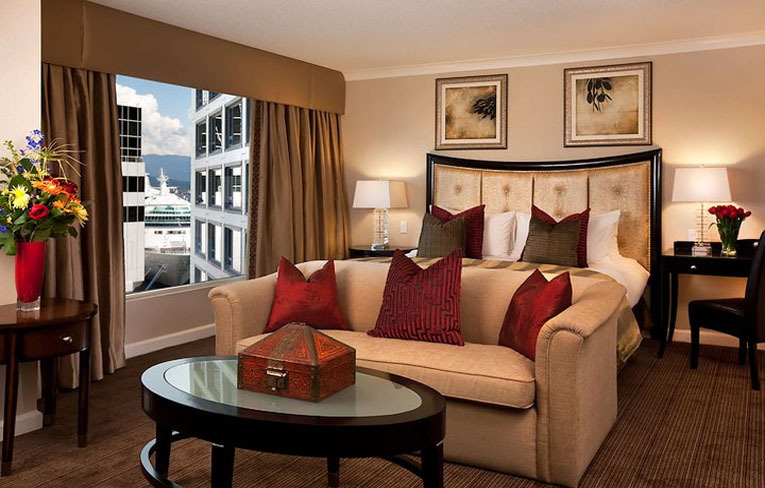 Connected to a diverse selection of restaurants and retail, and conveniently situated beside the Canada Place Cruise Ship Terminal, our luxury Vancouver hotel has a central location ideal for any stay. 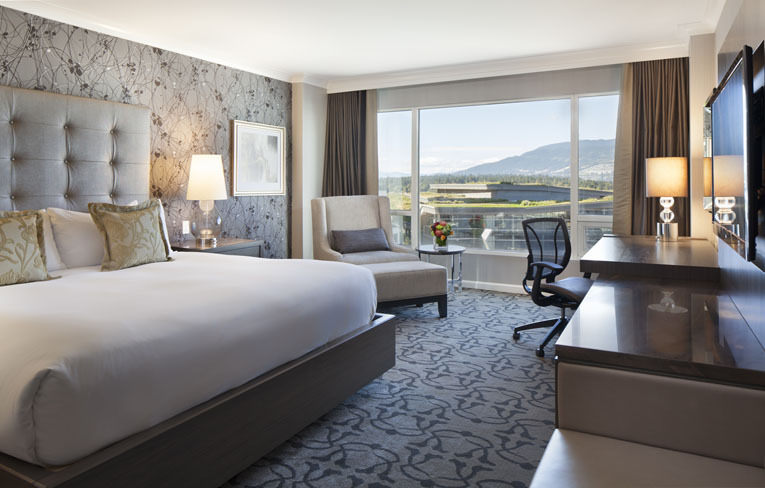 Our 489 hotel rooms are spacious, elegantly appointed with distinctive amenities and showcase spectacular city, mountain and harbour views through floor-to-ceiling windows. Offering a leisurely dining atmosphere in a bright and airy setting, Herons West Coast Kitchen + Bar features views of the Vancouver harbor and North Shore Mountains.Located on the edge of the downtown business district, this Vancouver waterfront restaurant is conveniently situated across from the Vancouver Convention Centre and Canada Place Cruise Ship Terminal. The hotel within a hotel experience of Fairmont Gold recognizes your individuality; our dedicated concierge team is ready to extend a friendly, sincere welcome. From dinner reservations and limousine transfers to any other special touches you require, you are assured a memorable experience. Unwind on our exclusive Fairmont Gold floor, where you can enjoy beautiful views and special privileges. 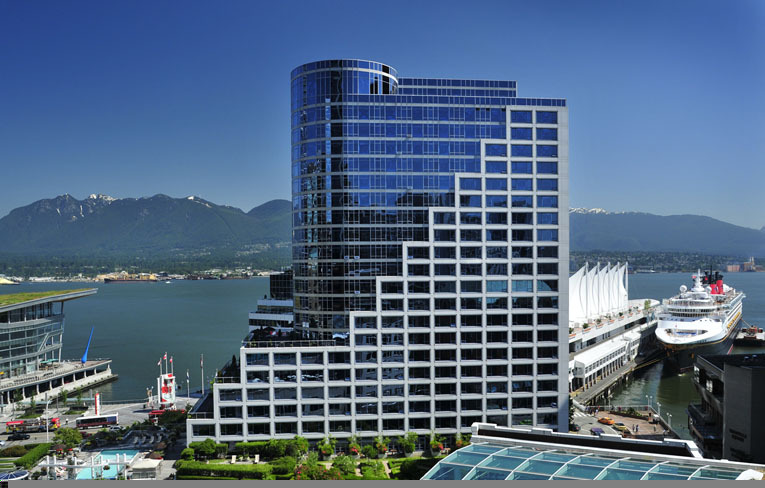 The Fairmont Waterfront's state-of-the-art meeting facilities, along with on-the-spot office amenities, make it easy to conduct your business in Vancouver. 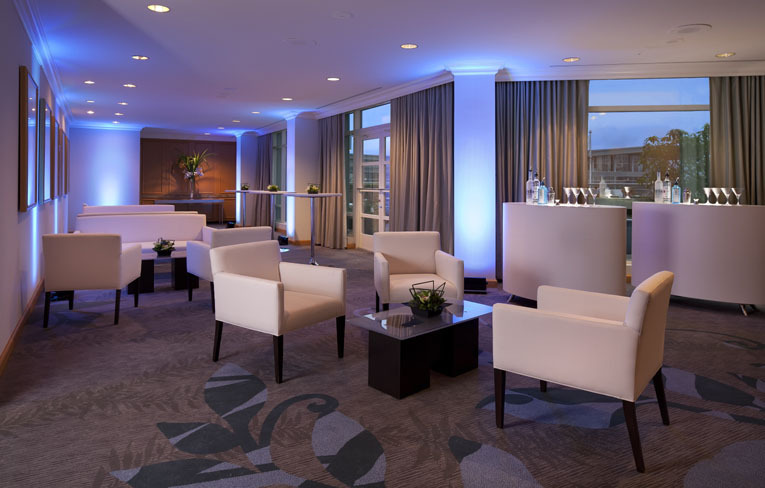 Every detail has been carefully considered to make meetings virtually effortless.